Franz Stangl was born in Altmunster, Austria on 26 March 1908, the son of a night-watchman who had once served in the Habsburg Dragoons. 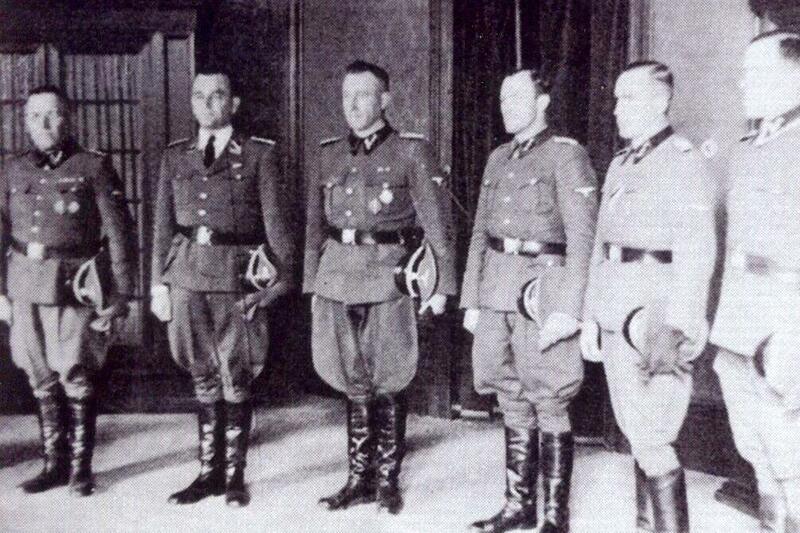 After training as a master- weaver Stangl joined the Austrian police force in 1931, graduating two years later. 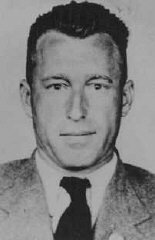 In 1935 he was transferred to the political division of the criminal investigation department in the small Austrian town of Wels. 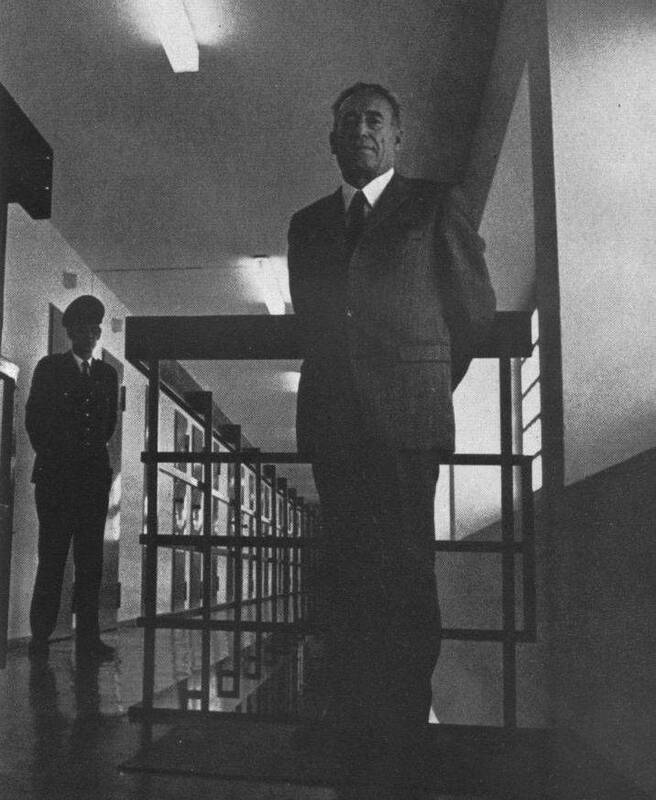 A year later he became an illegal member of the Nazi Party, and in November 1940 he became the Police Superintendent of the notorious Euthanasia Institute at Scloss Hartheim, where the mentally and physically handicapped and also political prisoners from concentration camps were transferred for liquidation. 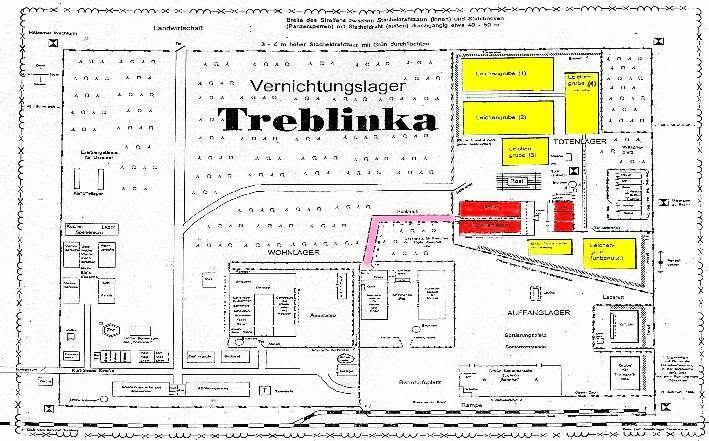 Stangl was appointed commandant of the Sobibor death camp, which became operational in May 1942, during Stangl’s period as “Kommandant” , which lasted until September 1942 when he was transferred to Treblinka, approximately 100,000 Jews were killed. 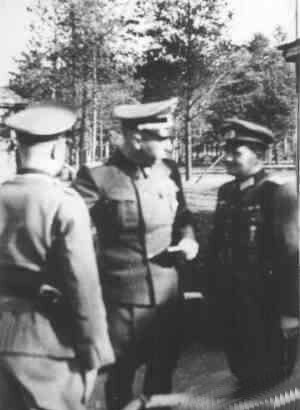 Following his arrival at Treblinka, the largest of the three “Aktion Reinhard” camps in occupied Poland, Stangl proved himself a highly efficient and dedicated organiser of mass murder, even receiving an official commendation as the “best camp commander” in Poland. Always impeccably dressed, he attended the unloading of transports dressed in white riding clothes, soft-voiced, polite and friendly, Stangl was no sadist, but took pride and pleasure in his work, running the death camp like clockwork. 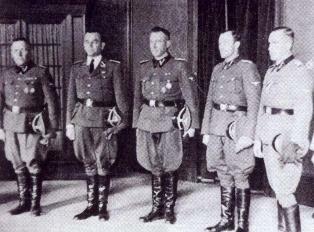 Soon after the revolt in Treblinka on the 2 August 1943 – SS –Hauptsturmfuhrer Stangl was transferred to Trieste to help organise the campaign against the Yugoslav partisans. His next assignment was in Italy as a special supply officer to the Einsatz- Poll, a strategic construction project in the Po Valley, involving some half a million Italian workers under German command. 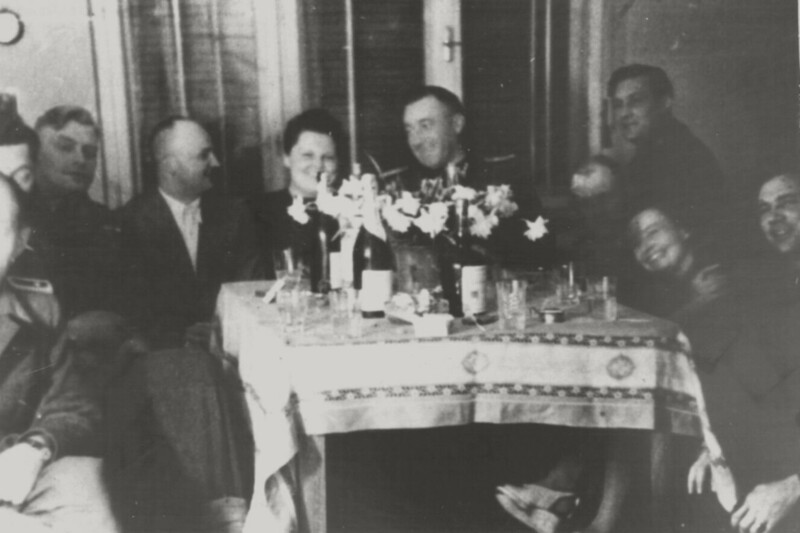 In 1945 Stangl was captured by the Americans and interned as a member of the SS who had been involved in anti-partisan activities in Yugoslavia and Italy, whilst his earlier service in Poland was not known at the time. 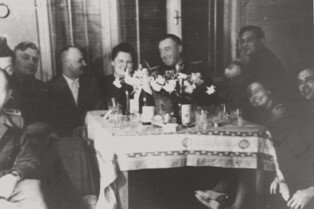 He was handed over to the Austrians and transferred to an open, civilian prison in Linz in late 1947, in connection with his involvement in the Euthanasia programme at Schloss Hartheim. Stangl simply walked out of the prison and managed to escape to Italy with his Austrian ex-collegue at Sobibor death camp, Gustav Wagner, with the help of Bishop Hudal and his Vatican network. Stangl escaped via Rome on a Red Cross passport with an entrance visa for Syria. In 1948 he arrived in Damascus where he worked for three years as a mechanical engineer in a textile mill and was joined by his wife and family. In 1951 the Stangl’s emigrated to Brazil where he was given an engineering job and after 1959 he worked at a Volkswagen factory, still using his own name. Only in 1961 did his name appear on the official Austrian list of “Wanted Criminals” , though for years his responsibility in the deaths of hundreds of thousands Jewish men, women and children had been known to the Austrian authorities. 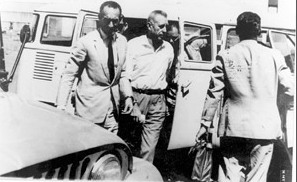 Tracked down by Nazi-hunter Simon Wiesenthal, Stangl was arrested in Brazil on 28 February 1967. After extradition to West Germany he was tried for co-responsibility in the mass murder of 900,000 Jews at Treblinka and sentenced to life imprisonment on 22 October 1970. 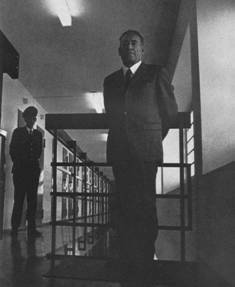 He died of heart failure in Dusseldorf prison on 28 June 1971. Who’s Who in Nazi Germany by Robert S Wistrich published by Routledge, London and New York 1995. © 2010 H.E.A.R.T All Rights Reserved.